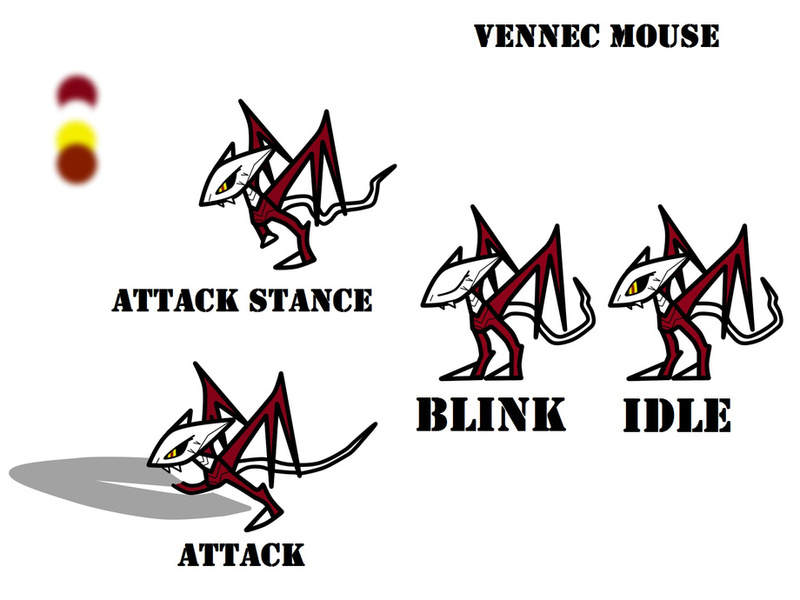 Vennecs are a rare breed of mice, ranging from different colors and natural habitats. These creatures are a cross between dragons and a white dormouse, growing tails that extend between 3 to 4 ft. long, depending on their lifespan. Highly territorial, quick, and nimble. Will not hesitate to challenge any interloper in its territory, unless it is given food to eat. Two hind legs with claws for movement and self-defense, red scales from the neck-down, two immovable wings to balance posture and increase speed, tails that extend between 3 to 4 ft. long (depending on their lifespan), white fur from the neck-upward, black eye sclera with yellow irises/red pupils.